Working out not only results in a great looking body but in a healthier lifestyle too. Exercise has the ability to release endorphins, which means that it can make you feel happier. With so many amazing benefits of working out, it’s easy to see why it’s spreading like wildfire recently. However, as much as we’d all like to have a perfect training programme, so many of us get waylaid when it comes to planning our workouts. With no structure in place, it’s easy to get distracted or become lazy and skip sessions, which inevitably results in poor progress. If you’re looking to intensify your workout, here are some tips to get you on your way. Whatever your approach to working out is, it is essential that you keep pushing yourself to get better. It can be useful to set personal targets, such as weight loss goals, or rep increases if you weightlift. By placing smaller stepping stones between yourself and your final goal, you are more likely to keep pushing yourself onwards to success. For those who are struggling to make progress or to motivate themselves, it can be useful to gain a helping hand. This may come in the form of a workout buddy, who you go to the gym with every time and who can encourage you when you’re feeling down. If you want a real push, then you can hire dependable personal trainers in London who will help you to craft a workout routine that is tailored towards your health and body goals. By having a professional on hand to push you forward, you can begin taking your training more seriously and see far greater gains. 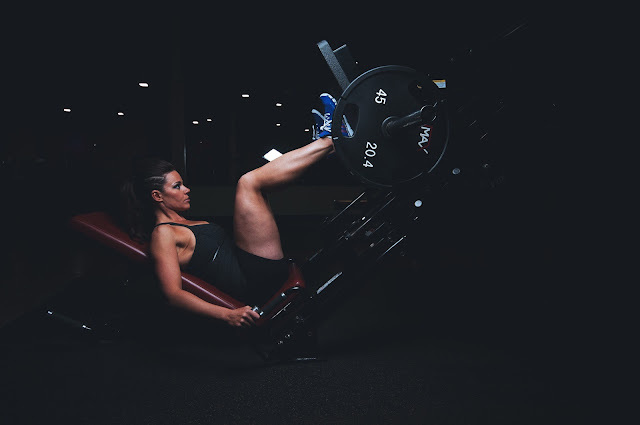 Although many people think that investing in a gym membership will propel them to work out, it is far more effective to invest in a personal trainer who will push you to your limits. Weights can be a valuable addition to many different workouts other than weightlifting itself. They can increase the intensity of your workout by providing resistance which forces you to work harder. Lifting weights throughout a power walk or during floor exercises will increase your gains significantly. If you are interested in strength and weight training, check out a useful beginner’s guide for some great tips. One of the best ways to get your heartrate pumping and increase the intensity of your exercise regime is to work in bursts. If you are jogging, try doing bursts of hill sprints in between longer, slower jogs. Whilst it is not possible to sustain a high intensity workout for a long period of time, by incorporating surges of intense exercise into your regime, you can burn through those calories like never before. By getting the right help on board and adding new elements to intensify your exercises, you can find the motivation you need to sustain a high-impact workout routine. Amyra Dastur In Sukriti And Akriti Anarkali Suit: Yay Or Nay?